Malcolm Fraser passed away on March 20, 2015. Malcolm Fraser was Australia’s 22nd Prime Minister. He began his term as caretaker Prime Minister on 11 November 1975, after Governor-General Sir John Kerr dismissed Gough Whitlam’s Labor government. The Fraser Coalition government was returned with the largest landslide of any federal election a month later, and remained in office until 1983. Nonetheless, the constitutional crisis made its beginning controversial and marked Fraser’s prime ministership. 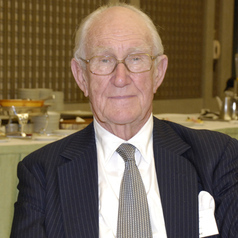 Malcolm Fraser had an important influence on the changing relations of countries within the British Commonwealth, and on shaping Australia’s relations with the countries of East and Southeast Asia. Though economic rationalism was introduced in policy debate during his term of office, his government reflected more traditional principles in financial management and fiscal policy. Before becoming Prime Minister, Malcolm Fraser had spent ten years as a backbencher in the government of Robert Menzies. He became Minister for the Army in 1966, under Harold Holt, and was also a minister in the governments of John Gorton and William McMahon.